This WILD COACHELLA lecture exploring the history and habitat of the Salton Sea will be presented by Andrew Bishop, associate professional researcher, UCR EDGE Institute, and Chris Schoneman of the Sonny Bono Salton Sea National Wildlife Refuge Complex. 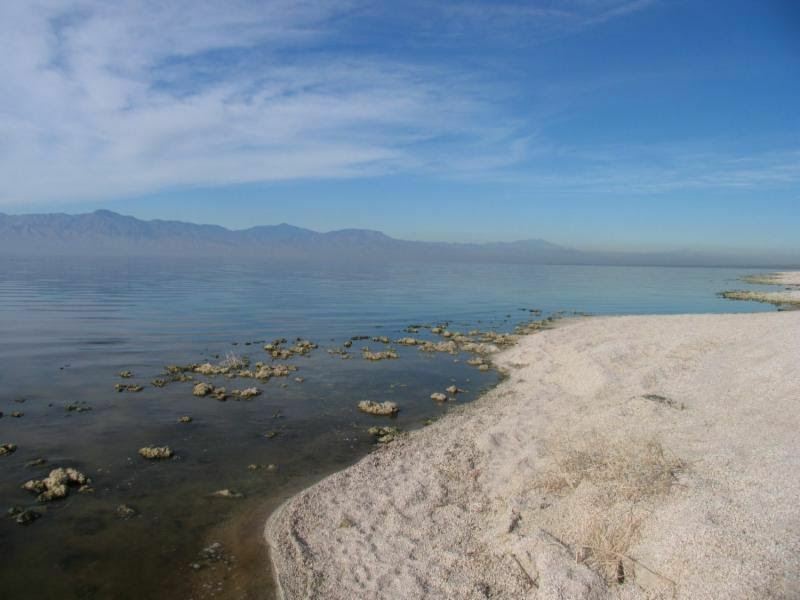 For the first lecture in UCR Palm Desert new Wild Coachella series, which investigates the history and habitat of our desert, let's take a trip back in time to the origin of the Salton Sea, California’s largest lake. Free and open to the public. This is not a Great Outdoors sponsored event. These series are very popular and limited seating. CLICK HERE to reserve a seat with UCR Palm Desert. On this historical side: The Salton Sea's genesis is commonly attributed to the accidental failure of irrigation canals from the Colorado River. However, this lake is merely the latest incarnation of a series dating back several million years, ever since the Colorado River delta cut the Salton Trough from the Gulf of California. Andrew Bishop, associate professional researcher with the UCR EDGE Institute he geological history of these ancient lakes is preserved by the sediments which they left behind. On the habitat side: More species of birds have been recorded for the Salton Sea than any other National Wildlife Refuges in the US. Great Outdoors has a camping trip scheduled for the Salton Sea February 23-25, 2018 and we will be exploring and enjoying this part of wild Coachella.